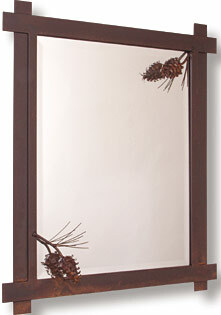 Three dimensional pinecones add to the allure of this stunning mirror!! 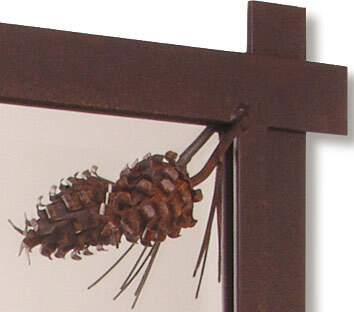 Heavy duty steel, with beveled glass is sure to catch all eyes! 25" high, 21.5 wide. 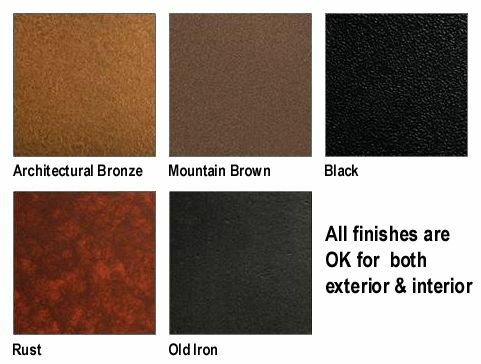 Choose from finishes shown below.